Great masterpiece, secret treasure and bewitching the people with unique historical tissue, Saratli Underground City is located Saratli town in Cappadocia. Symbolizing the deep history, this mystic city is also famous for miraculous architectural structure. 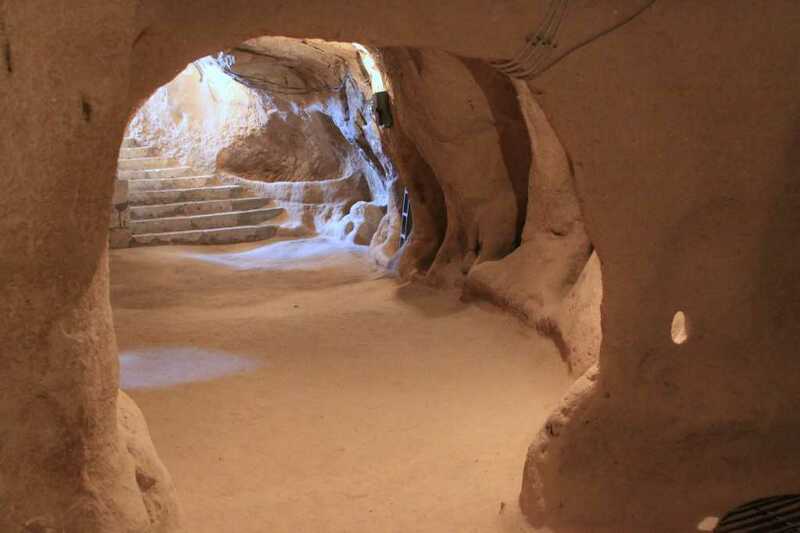 As a result of many excavations, it was figured out that long established history of this magnificent underground city is based on the Rome (Byzantine) Era. Within those times, the city experienced many events like the Crusades and Arab Invasions which were the very important wars made for religion. 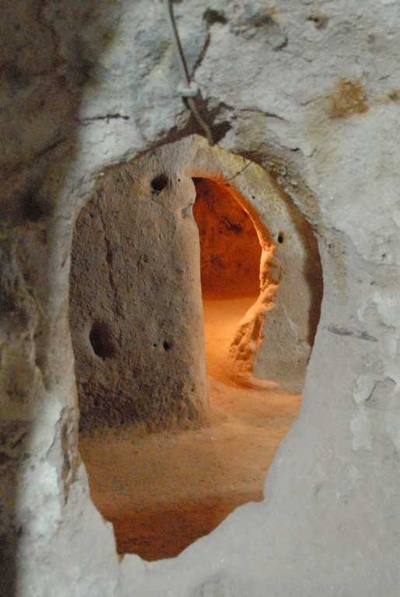 Therefore, the peasants built many underground cities around the districts of Cappadocia to protect themselves against the war, attacks and persecution. 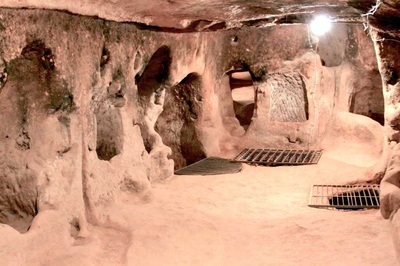 They established the fascinating Saratlı Underground City as a defence. Those genius locals created a perfect mechanism and a unique handicraft, when they built it by adding secret tunnels connected with each other and ventilation system. Today, this place accompanied by influx of tourists has opened for the visitors after the renovations and excavations in 1950’s. 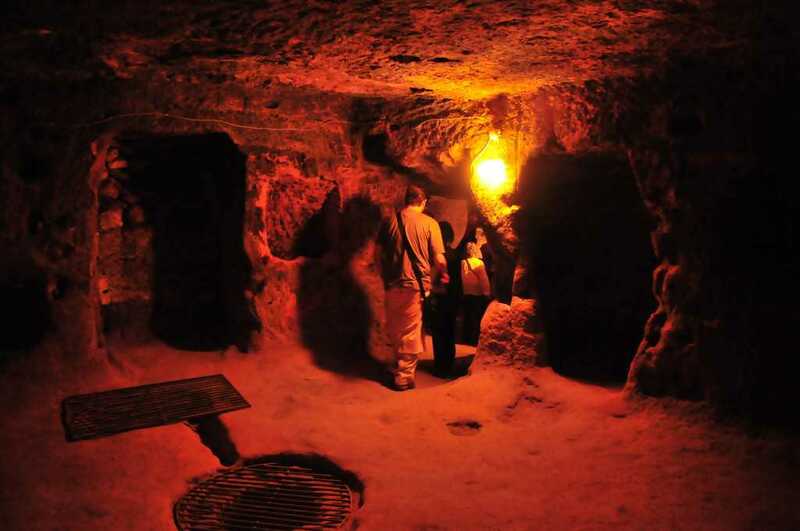 This underground city fascinates the numerous domestic and foreign tourists with its architectural style which reflects a fantastic ambiance because it resembles the house of Medusa, mythological character with snake hair in ‘’Clash of the Titans movie’’. When it is looked at its building, this extraordinary masterpiece has 7 storey, a water well, move to door (kapı tasi), wine cellar, bath, toilet, barn, a kitchen and total 40 splendid rooms. Moreover, because it was used as a sanctuary and defence place, there are found many secret tunnels and galleries connected with the peasants’ homes in order to easily arrive at the underground city by using this passage against any attack from enemies. 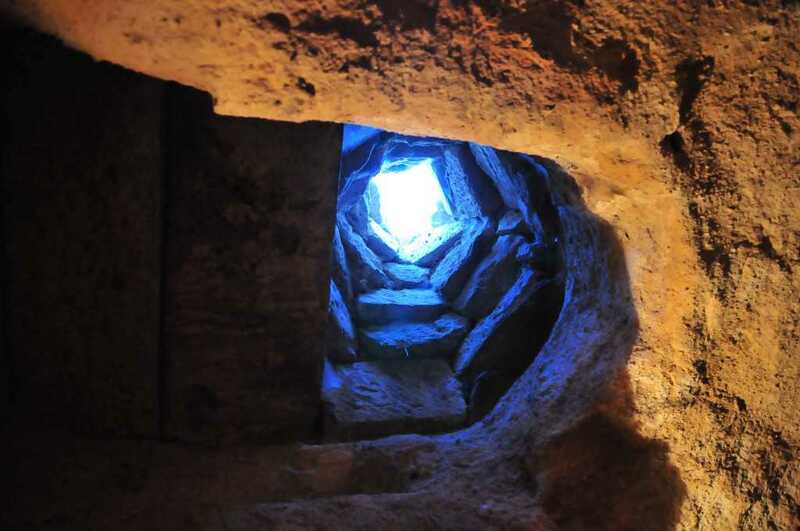 Also, its entry circular doors which are 1.5 m in height, 200 kg in weight and type millstone are a part of this skilful system of defending the city. 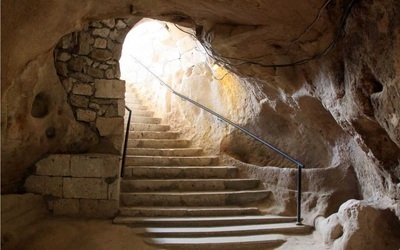 Because the middle part of those door were hollowed in order to shoot arrows, lance to the warriors and send message there is a problem or not. Except for those features, the walls of this structure also hollowed to put oil lamp which causes the place illuminate.